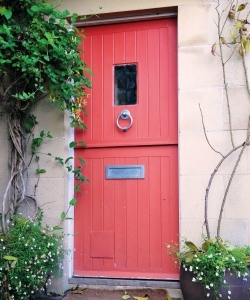 Valuations prepared by chartered surveyors are required to be carried out in accordance with the RICS Valuation and Appraisal Manual (the Red Book). This Red Book is a detailed manual which lays down specific rules that chartered surveyors must follow in terms of how they prepare and present a valuation report. A failure to prepare a Red Book valuation in the appropriate way can lead to a negligence claim against the chartered surveyor. A chartered surveyor must also be a registered Valuer with the RICS to undertake Red Book valuations. The types of valuation prepared by chartered surveyors that must be Red Book include valuations for tax purposes (which includes both Capital Gains Tax and Inheritance Tax or Probate). Other purposes for which the Red Book valuation might be required include for lending purposes for banks. Executors are more likely to need a Red Book valuation at the outset if the Deceased’s assets are complicated, the values are higher and/or where specific reliefs might be obtainable against Inheritance Tax. Agricultural Property Relief (APR) or Business Property Relief (BPR) can be claimed against certain specific classes of asset. Where these reliefs might be obtainable we will often be asked to prepare a Red Book valuation which will include a commentary on whether these reliefs might be available and if so at what level of value. Where there are solicitors, accountants or other professionals involved in processing an application for a grant of probate they may insist that a full Red Book valuation is obtained to assist with obtaining probate. However, alternatively it may be possible to obtain a market appraisal either from an estate agent or chartered surveyor, which will provide a value that can be inserted into the Probate Return, but you will not be able to submit the letter of advice with the form. In straightforward cases Executors may be more relaxed about having an informal market appraisal to obtain a value on the basis that they can commission a Red Book report later on if that becomes necessary. White and Sons can provide Red Book RICS valuations prepared by chartered surveyors for probate purposes or alternatively their team of estate agents and surveyors can provide informal marketing appraisals as required. Want to find & contact your local branch of White & Sons?